This week we celebrate the first day of summer, my 57th summer solstice. This first day of the summer is when the North Pole is at its maximum tilt and slant towards the sun. The sun reaches its highest point in our sky, the warmth and light intensify in our northerner climes. We experience the longest day and the shortest night. As our world leans in towards the light, these turn and returns are symbolic of lessons that return, must be learned and relearned. Remembering our mistakes and taking heed for the future is key as we navigate the future of food and the planet. I celebrate the solstice by taking note of how far south the sun sets and rises at my mountain-top home. I end the week in the heartland of Minnesota, speaking about the rise of new genetic engineered technologies. These technologies may hold great promise in medicine, plant and animal breeding, food and agriculture. Yet the very nature of these new genetic manipulations may pose unknown risks to our basic genomic ecosphere that we have yet to uncover. Let’s take the new stevia for example—EverSweet is a novel food technology that tastes just like Stevia but with much less bitterness. EverSweet mimics natural stevia almost exactly, but it is grown in a lab and not of the plant or soil kingdom. Simple yeasts are genetically engineered to produce this sugar substitute at much less cost and with great potential profits for its corporate parent Cargill. On June 1st, 2016 the FDA gave it the go ahead and designated it as “generally recognized as safe” (GRAS). This means the new lab-born stevia, EverSweet, will not be subjected to the usual testing and tolerance studies most food additives have. That’s right folks, the manufacturer performed its own studies, and those were enough to exempt it forever more from testing and scrutiny. Now EverSweet will soon be showing up in all sorts of foods like dairy products, zero calorie concoctions, tabletop sweeteners and sports drinks. We won’t even know we are partaking of this laboratory food unless we take a deep label dive. Stevia from the natural leaf is currently labeled as “stevia leaf extract.” EverSweet will be labeled in the US as “steviol glycosides” or “produced with fermentation.” They will not be labeled as GMO or genetically engineered. There is a host of new technological wonders about to enter our food supply that fall into this category. Soon we will slurp down vegan milk, froth up laboratory-born egg whites and lick “vanillin” flavored ice cream. These products all rise from a processed dubbed “synthetic biology.” They are often labeled natural and never identified as genetically engineered. Why you may ask? Because the algae and yeasts are not violated with a foreign gene (like traditional GMO’s), they are instead genetically edited to create something quite new to our world. These are brand new entities that we are eating, drinking, unwittingly feeding our children, while the manufacturers (big corporations who stand to profit the most) have performed the only safety testing. I have several concerns with new technologies that are tested solely by their makers. The first and most basic one is that we have heard this jingle many times before—corporations telling us their product is safe. Many of you are too young to remember the jingle “DDT is good for me…” but it was aired on every black and white TV and every radio wave for years. “The great expectations held for DDT have been realized. Exhaustive scientific studies have shown that, when properly used, DDT kills a host of destructive pests, and is a benefactor of all humanity…” You could even buy wallpaper impregnated with it for your children’s bedroom. It was only years later, studies revealed that in fact DDT causes a huge range of human health effects such as breast and other cancers, male infertility, miscarriages & low birth weight, developmental delay, nervous system and liver damage. 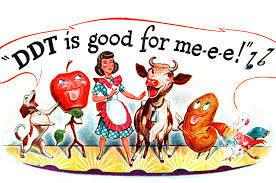 It isn’t just ironic that one of the companies who brought us DDT was Monsanto. There are numerous horrific examples of new technologies that we were once told were safe: Agent Orange, Thalidomide, GMO seeds that have led to a rampant increase of glyphosate use, and the list goes on. My second concern is for the stability and long-term balance of our genetic future. Algae’s and yeasts are the building blocks of life. If these genetically altered basic organisms are accidentally introduced into our waters and air what will be the long-term genetic ramification? Will egg whites someday grow in the San Francisco Bay, will milk run through our streams and eddies? 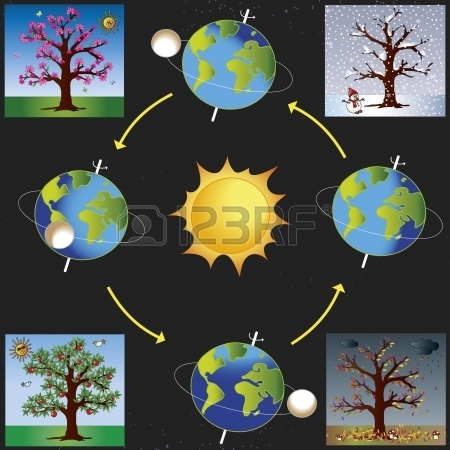 What imbalances in our environment will we set off? Genetic pollution is coming to our world sooner than you think. As the sun makes its turn and angle, I believe we must remember the mistakes we have made in the past and learn from them. New technologies such as those emerging in Synthetic Biology, CRISPR and Gene Drives must first withstand rigorous third party testing and analysis for their potential long-term unintended consequences before they are approved for production and consumption. Unfortunately, this simply isn’t happening. The Non-GMO Project and the National Organic Standards Board are working to keep these emerging technologies out of organic and Non-GMO, but it’s only a matter of time that they will insidiously make their way into the rest of our food and the environment. My intention is not to be a scientific Luddite, but to be mindful of new technologies, to go slowly and with great heed. Does the world really need another sweetener before we ensure its long-term safety? This summer, put your book down and tell the FDA and USDA to test and regulate these new technologies before they enter the market, then pass the (real) stevia please. This entry was posted in Environment, GMO, Labeling, What is Organic and tagged CRISPR, Gene Drives, GMO, GMO labeling, Non-GMO Project, NOSB, Synthetic biology. Bookmark the permalink. Thanks again Melody for your insights into a topic that is esoteric at best and generally not a headline subject of major news media. One has to pause and consider the effects of newly introduced biological and inorganic compounds into our environment and the long term effects on all life forms today and in future generations. Thank you Richard, It’s a subject that we must share so others are aware.